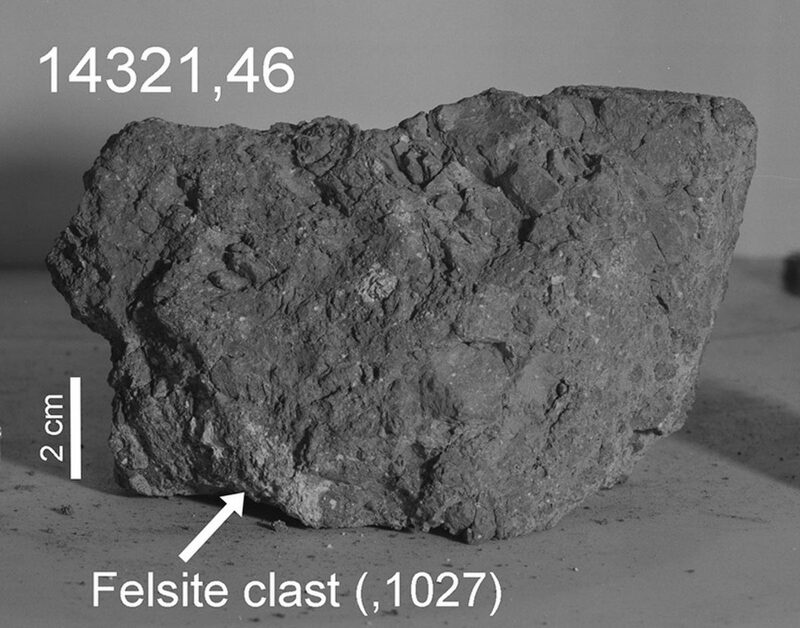 A piece of material that was brought back from the Moon by Apollo astronauts in 1971 has a tiny piece of Earth inside of it, according to a study. 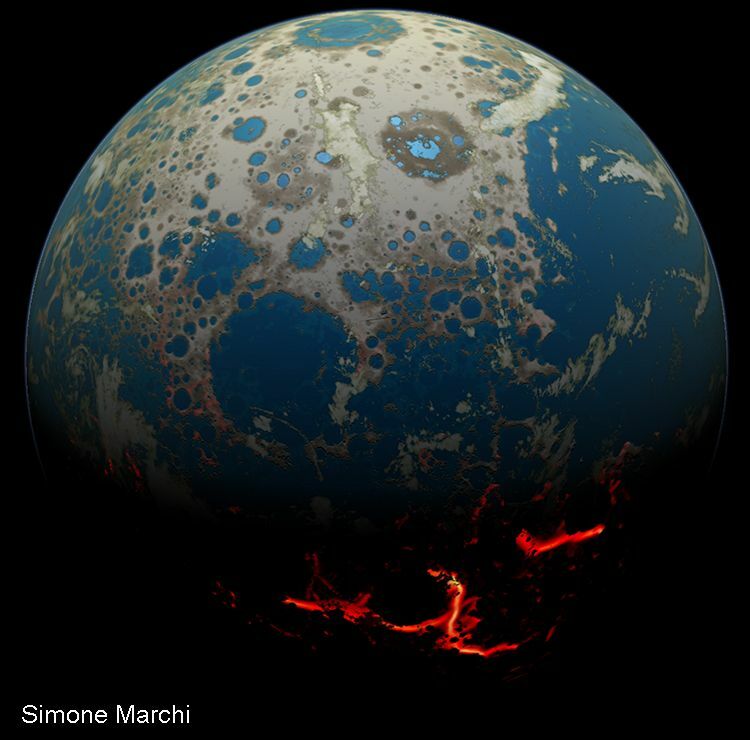 “It is an extraordinary find that helps paint a better picture of early Earth and the bombardment that modified our planet,” said study co-author David Kring, a Universities Space Research Association (USRA) scientist from the Lunar and Planetary Institute in Houston. They found evidence that “the rock was launched from Earth by a large impacting asteroid or comet” and it “jettisoned material through Earth’s primitive atmosphere, into space, where it collided with the surface of the Moon,” according to a news release from USRA. 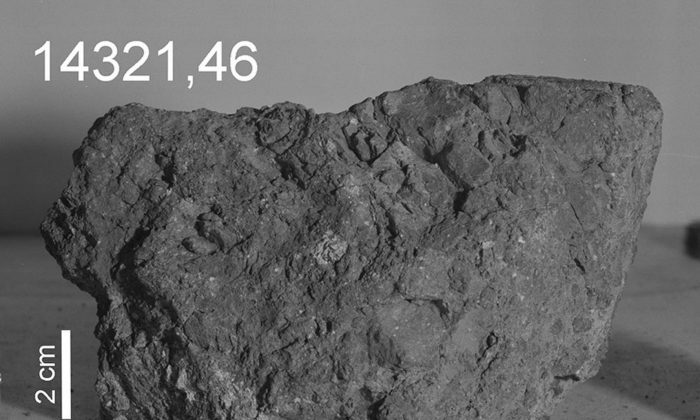 The rock was mixed with other materials on the lunar surface. “The result of their investigation is a 2-gram fragment of rock composed of quartz, feldspar, and zircon, all commonly found on Earth and highly unusual on the Moon,” said researchers. The researchers said there is a possibility the sample crystallized on the Moon and isn’t from Earth. But, they stipulated, it would require the sample to have formed a very deep depth below the surface of the Moon in the lunar mantle. “Therefore, the simplest interpretation is that the sample came from Earth,” USRA said in the release. In elaborating, the researchers said the rock crystallized about 12 miles beneath the surface of the Earth some 4 billion years ago and was then blasted out by an asteroid. After the sample hit the Moon’s surface, “other impact events” helped shape it, including one event some 3.9 billion years ago, the researchers said. “The sample is therefore a relic of an intense period of bombardment that shaped the Solar System during the first billion years. After that period, the Moon was affected by smaller and less frequent impact events,” USRA said. About 26 million years ago, the rock was buried and melted before it was excavated by another impact. The collision resulted in what is known now as the Cone Crater, which was explored by Apollo 14 astronauts. 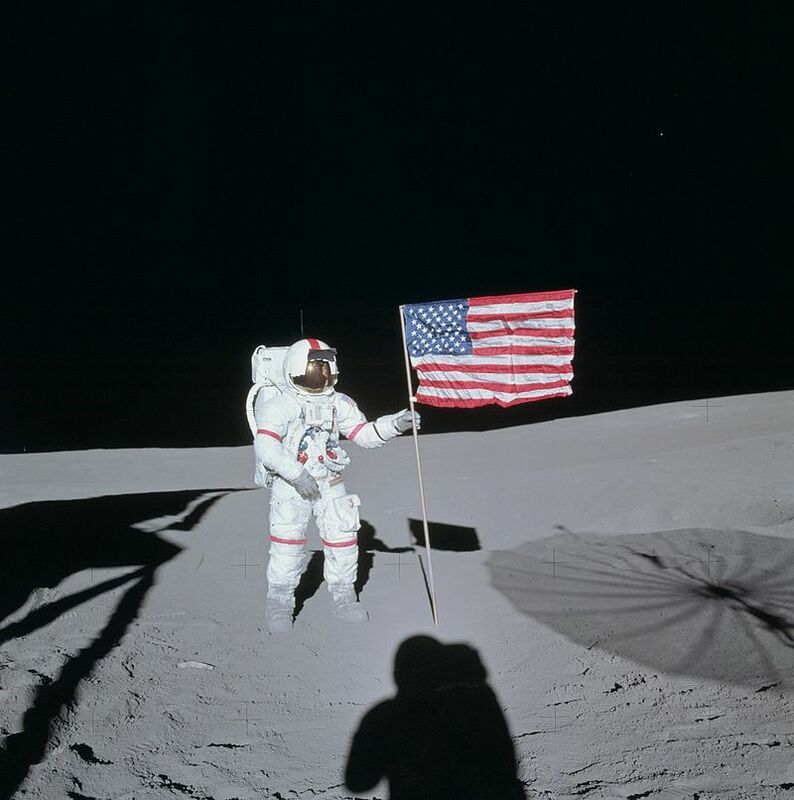 Apollo 14 was the eighth manned mission by the United States, and it was the third to land on the Moon. Commander Alan Shepard, Command Module Pilot Stuart Roosa, and Lunar Module Pilot Edgar Mitchell embarked on the nine-day mission on Jan. 31, 1971. The study was published in the scientific journal Earth and Planetary Science Letters. More Japanese investors are looking to the stars for investment ideas, literally. Japanese-owned Astroscale is the world’s first privately-owned space debris removal enterprise.